More than 100 children and their families joined the fun on Saturday, March 31st at Madera County’s Riverstone for the community’s very first Easter Egg Hunt. 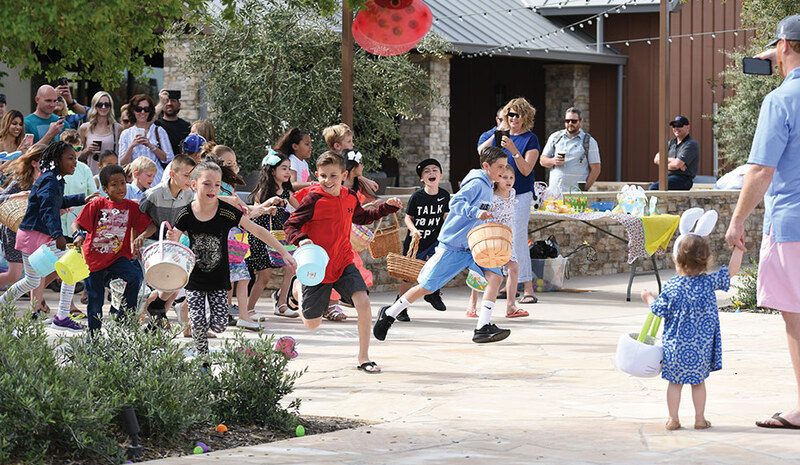 The enthusiastic kids—with soon-to-be-filled baskets in hand—went scrambling across the lawn at The Lodge community clubhouse to hunt for a staggering 1,000 hidden Easter eggs. The kids managed to uncover every last one, and those lucky enough to find the coveted “Golden Eggs” received an extra prize. Kids searched far and wide for 1,000 hidden eggs—including the coveted “Golden Eggs”—at Riverstone’s very first Easter Egg Hunt. Riverstone’s kids and families also enjoyed a catered lunch, Bounce House, cotton candy, snow cones and a special guest appearance by the Easter Bunny. 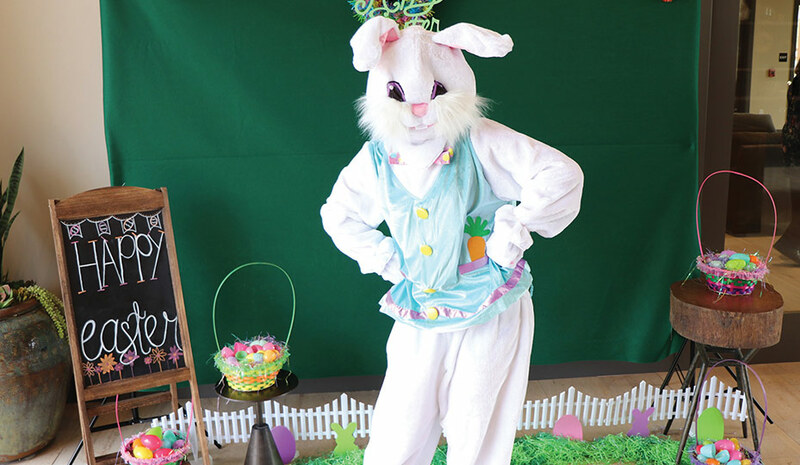 Even when the hunt was over, the fun continued for Riverstone’s youngest residents, who thoroughly enjoyed the Bounce House, spirited games of Jenga, getting creative with sidewalk chalk art, and meeting and posing for photos with the Easter Bunny. Other fun photo opportunities included posing with colorful, oversized Easter egg and bunny cut-outs on the grass, as well as an indoor photo booth. A delicious array of food and drink kept the partygoers happy, including turkey and cheese sandwiches, an assortment of fresh fruits, and every kid’s favorite sandwich—the PB&J. 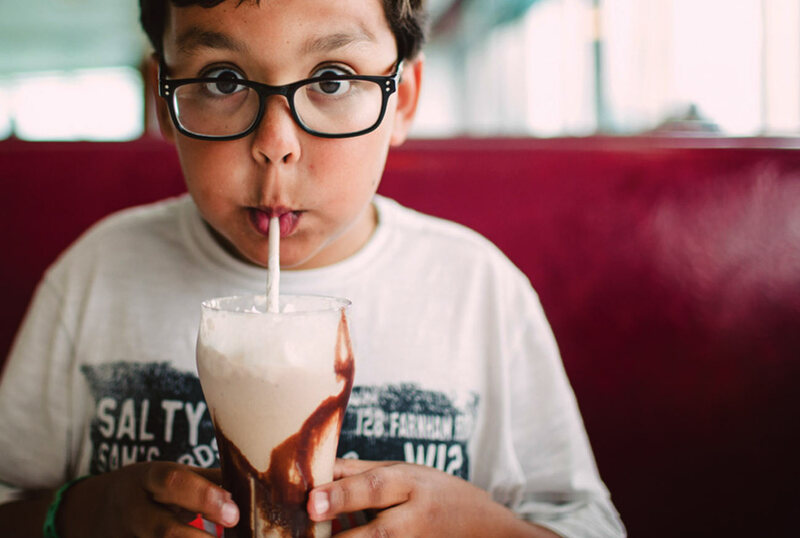 Festive treats including snow cones and cotton candy were enjoyed by just about everyone, and the day’s sports events were shown on The Lodge’s big-screen TVs—allowing sports-loving moms and dads to still catch some of the action and latest scores. The Lodge at Riverstone, where the event took place, is the centerpiece of the Lodge District residential neighborhood, which includes two community parks (and three more on the way), a number of planned hiking and biking trails, and Riverstone’s first collections of stylish, innovative new homes that are now selling.